Excerpts from the lawsuit filed by Grand Canyon Trust against Energy Fuels – the same Canadian company that wants to mine uranium in the environs of the Grand Canyon and that just had a fire at its Texas uranium mine, which was spotted by US Border Guards. Smoke billows from a controlled burn of spilled oil. Reuters / Sean Gardner. More updated maps added below. 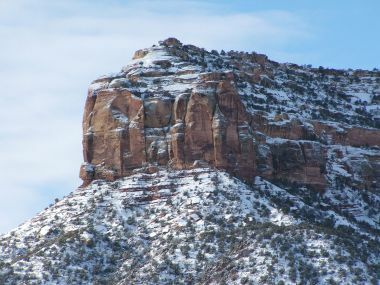 Recently fallen snow on Colorado National Monument. Photo by Tewy. CC BY-SA 3.0. Wikimedia Commons. The government is considering scrapping the troubled Monju fast-breeder reactor after calculating that readying it for restart would cost several hundred billion yen, sources said Monday. A political decision on decommissioning the reactor is now in sight, with Chief Cabinet Secretary Yoshihide Suga joining talks to determine its fate, the sources said. The facility in Fukui Prefecture has been beset by safety problems and has only been operational for a total of 250 days since it first went critical in 1994. Decommissioning Monju would deal a serious blow to the nation’s vaunted fuel cycle policy, in which the reactor was designed to play a central role. The plan is to develop a commercial fast-breeder reactor that produces more plutonium than it consumes. The science ministry has been trying to find a new entity to run the reactor, which is currently operated by the government-backed Japan Atomic Energy Agency. The ministry was ordered to do this by the Nuclear Regulation Authority in November, after the NRA expressed exasperation with the operator’s consistent failure to make the plant a success. Nuclear safety has been a hot-button issue in Japan in the wake of the disaster in 2011 at the Fukushima No. 1 nuclear plant. The ministry has been consulting a panel of energy experts on whether to keep Monju alive or to scrap it but has failed to identify a new entity to take over management. In either case, substantial amounts of money are needed. The agency estimated in 2012 that it would cost around ¥300 billion to scrap the reactor in a process lasting over 30 years. Safety problems included a major fire caused by a sodium leak in 1995. The total of 250 operational days has come at a cost of more than ¥1 trillion in building and maintenance costs. If Monju restarts operations, the ministry says its fuel must be replaced. In the event of a restart, new guidelines for fast-breeder reactors must also be created and any related construction will have to reflect these guidelines. Making the building’s facilities meet the new guidelines will likely cost nearly ¥100 billion, the sources said, adding there would be further expenses for replacing old equipment. Powerful Typhoon No. 10 is expected to be the first typhoon in at least 65 years to make landfall in the Tohoku region from the Pacific Ocean side on the evening of Aug. 30. The Japan Meteorological Agency is warning that heavy rains of 80 millimeters or more per hour are expected to fall in some parts of northern Japan, including Tohoku. The agency is also advising commuters in the Kanto region to take precautions against strong winds and heavy rain on the morning of Aug. 30. As of noon on Aug. 29, Typhoon No. 10 was advancing in the waters about 340 kilometers southeast of Hachijojima island at a speed of 25 kph. The atmospheric pressure at the center of the typhoon was 945 hectopascals. The maximum wind speed near the center was 162 kph. The maximum momentary wind speed was 216 kph. Typhoon No. 10 is expected to reach waters about 360 km southeast of Choshi, Chiba Prefecture, in the morning on Aug. 30, although it is expected to slightly weaken by that time. The typhoon is forecast to make landfall on the Tohoku region later that day and move to the Sea of Japan before dawn on Aug. 31, the agency said. According to the agency, no typhoons have landed on the Tohoku region from the Pacific Ocean side since statistics became available in 1951. In the period from Aug. 29 to Aug. 30, the maximum wind speed is expected to be 126 kph in the Tohoku region and 82.8 kph in the Hokkaido and Kanto regions. The amount of rainfall during the 24-hour period until the morning of Aug. 30 is predicted to be up to 200 mm in the Tohoku and Kanto regions and Yamanashi and Nagano prefectures. The operator of the troubled Fukushima Daiichi nuclear power plant is preparing for the powerful Typhoon Lionrock. Tokyo Electric Power Company says on Monday workers secured electric cables and hoses. TEPCO says on Tuesday it will suspend work with cranes and other operations at the plant’s port, which could bear the brunt of strong winds and waves. Depending on weather conditions, the firm may also call off outdoor work in other areas. It says when the most recent typhoon approached last week, heavy rain caused underground water levels to rise and threatened to flush contaminated water into the harbor. Workers are arranging pumps to draw up more ground water, and setting up additional pumps at wells used to observe water levels. There were concerns in the past that a downpour brought by a typhoon could cause contaminated rain water to flow through a drainage channel into the ocean. To address these fears, TEPCO rerouted the drainage system into the plant’s inside port. It also raised the levels of barriers around tanks that store tainted water. Workers at the troubled Fukushima Daiichi nuclear plant have suspended some of the decommissioning work and are bracing for rain and winds from a powerful typhoon. Typhoon Lionrock is expected to make landfall along Japan’s northeastern coast on Tuesday afternoon, passing off Fukushima Prefecture. Tokyo Electric Power Company says workers secured electric cables and hoses on the plant compound on Monday. On Tuesday, the operator suspended work at the plant’s port. It also stopped the operation of a crane being used to demolish a temporary cover over one of the reactor buildings. Officials say they are closely watching to make sure the cover is not blown off by the typhoon. TEPCO says it has also taken measures to prevent contaminated rain water and groundwater from leaking into the ocean. In past typhoons, it was thought that contaminated rainwater flowed into the ocean through a drainage system. There were also concerns that radioactive groundwater might leak into the ocean as rain could increase the groundwater in the compound. This time the operator has installed stronger pumps and increased their number. The utility says as of 11 AM Tuesday, there were no changes in groundwater levels at the plant’s site. Other measures taken earlier include rerouting the drainage system into the plant’s port instead of directly into the ocean. TEPCO also raised the barriers around tanks that store tainted water. Five years after the second-worst nuclear accident in history, contaminated water is still hampering efforts to gain control of the site. Local residents are reluctant to return to their homes. Julian Ryall reports. It has been five years and five months since three of the reactors at the Fukushima Dai-ichi nuclear plant were crippled by the biggest earthquake and tsunami to strike Japan in living memory. Work continues at the site to clean up the radioactivity that escaped into the atmosphere and to regain control of the reactors. In its press releases, the Tokyo Electric Power Co. (TEPCO) insists that steps taken since the accident are slowly but surely having an effect. But not everyone accepts their assurances – or those of the wider nuclear industry as it seeks public support to restart reactors across the country that have been mothballed since March 2011. “There are numerous problems that are all interconnected, but one of the biggest that we are facing at the moment is the highly contaminated water that is being stored in huge steel tanks at the site,” Aileen Mioko-Smith, an anti-nuclear activist with Kyoto-based Green Action Japan, told DW. “They are running out of space at the site to put these tanks, the water that is being generated on a daily basis means they have to keep constructing more, and the ones that are not welded have a history of leaking,” she said. “The situation with contaminated water at the site is a ticking time bomb and they don’t seem to know what they can do – other than to construct more tanks,” said Mioko-Smith. Environmental groups are calling for TEPCO and Japan’s Nuclear Regulation Authority (NRA), which oversees the industry here, to come up with a clear plan of action so that they do not simply run out of space and believe there is no option but to release contaminated water into the Pacific Ocean. TEPCO confirmed earlier this month that an estimated 10,000 tons of radioactive water had collected in underground trenches around the buildings that house reactors one, two, three and four. That was in addition to about 60,000 tons of water that had flooded the basement of the reactor and turbine buildings, according to an official at TEPCO. While a portion of this water is being treated to remove the radioactivity, the sheer amount of water at the site makes it impossible to keep up with what is required, hence the need for storage tanks. A panel of experts that is advising the NRA has also declared the effort to construct a frozen wall of earth around the four reactors to stop additional ground water leaking into the site to be a failure. The TEPCO spokesperson disputes the suggestion that the 34.5 billion yen (307 million euros) ice wall scheme has failed. These developments have largely failed to arouse the interest of the Japanese media or the public, who have been living with the consequences of the disaster since 2011, although one recent announcement did make the news. On August 20, the Ministry of Health, Labor and Welfare confirmed that it would provide compensation to a man who developed leukemia after taking part in emergency decontamination efforts at Fukushima immediately after the disaster struck. The ministry recognized that the man, who is in his 50s but who has not been named, developed cancer due to exposure to radiation at the site, where he worked between April 2011 and January 2015. The ministry is considering the cases of five additional workers who have applied for compensation to cover their health costs, while a former worker at the site was granted financial assistance in October of last year after contracting leukemia. The TEPCO spokesperson says the company is “making its best efforts” to move the recovery process forward to the point at which the final procedure – removing the melted fuel debris from within the reactors – can be achieved. The scale of that problem remains huge, however, as it has never been attempted before. 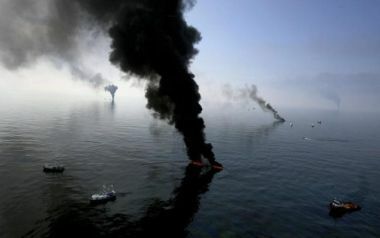 “We anticipate that it will take 30 to 40 years to reach that point as we are trying to do all the clean-up work at the same time as developing the technology to remove the fuel debris,” the official said. Yet at the same time, the national government is effectively forcing people who were evacuated from their homes close to the plant to return, saying that radioactivity levels are within permissible limits and that housing subsidies and other payments that they have been receiving while unable to work will be terminated. “Many of these people – especially those with children – do not want to go back to areas that they have been told are safe,” said Mioko-Smith, adding that there was a lack of trust in the government’s promises. “They feel that everything is being driven by the upcoming Olympic Games and that the government has to live up to its promise to the world that everything will be back to normal by 2020 and the Tokyo Games,” she said. The Fukushima Daiichi nuclear power reactor units that generated large amounts of airborne discharges during the period of March 12–21, 2011 were identified individually by analyzing the combination of measured 134Cs/137Cs depositions on ground surfaces and atmospheric transport and deposition simulations. Because the values of 134Cs/137Cs are different in reactor units owing to fuel burnup differences, the 134Cs/137Cs ratio measured in the environment was used to determine which reactor unit ultimately contaminated a specific area. Atmospheric dispersion model simulations were used for predicting specific areas contaminated by each dominant release. Finally, by comparing the results from both sources, the specific reactor units that yielded the most dominant atmospheric release quantities could be determined. The major source reactor units were Unit 1 in the afternoon of March 12, 2011, Unit 2 during the period from the late night of March 14 to the morning of March 15, 2011. These results corresponded to those assumed in our previous source term estimation studies. Furthermore, new findings suggested that the major source reactors from the evening of March 15, 2011 were Units 2 and 3 and that the dominant source reactor on March 20, 2011 temporally changed from Unit 3 to Unit 2. Since 2011, we have been estimating the source term—temporal changes in atmospheric release rates (Bq/h) of radionuclides—caused by the Fukushima Daiichi nuclear power station (FDNPS) accident using a reverse estimation method that combines atmospheric dispersion simulation and environmental monitoring data1,2,3,4,5. Many international researchers have also tried the source term estimation and model simulation of atmospheric dispersion of radionuclides during the accident. The United Nations Scientific Committee on the Effects of Atomic Radiation (UNSCEAR) summarized sixteen results on source term estimation (Table B2 of UNSCEAR 2013 Report6). It described that the source term estimated by Terada et al.3 (which is the one from our previous study) provided a sound basis for estimation of the levels of radioactive material in the terrestrial environment where prior measurements did not exist and actually the dispersion and deposition of released material modeled by the World Meteorological Organization (WMO) based on the source term by Terada et al.3 could replicate the broad pattern of deposition density of 137Cs over the Japanese land mass. We also summarized a number of international papers lately that have carried out the source term estimation and numerical analysis of atmospheric dispersion process of radionuclides released during the accidents (Table 1 of Katata et al.5). The accuracy of our previous study’s latest source term increased with gradual increases in the number of monitoring data after the accident and improvement of our team’s numerical simulation model that included a sophisticated atmospheric deposition scheme5. The calculated ground-shine due to the large deposition event of March 15–16, 2011 agreed with observed data within a factor of 2 at most of the monitoring points, and the model also reproduced the spatial distribution of the airborne survey’s air dose rate and 137Cs surface deposition within a factor of 5. Therefore, the simulation results of the spatiotemporal patterns of 137Cs surface deposition have enough accuracy to compare with the observed 134Cs/137Cs ratio, though some discrepancies between simulation and observation occurred because of model simulation uncertainties. Using the latest source term in Katata et al.5, several atmospheric dispersion simulations by the National Oceanic and Atmospheric Administration (NOAA), USA, Canadian Meteorological Centre (CMC), and Met Office, UK, were successfully able to reproduce the measured surface contamination distribution and time series in air concentrations of radionuclides regardless of model structure and meteorological input data5. UNSCEAR also reported for Katata et al.5 that in any further or updated assessment, the committee would recommend the use of the latest estimate as “preferential”7. While the timing and quantities of major atmospheric releases during the FDNPS accident had been estimated, the relationships between these releases and their specifically correlated reactor units have still not been clarified. During the period of March 12–15, 2011, the temporal rises in air-dose rates measured by a monitoring car at the FDNPS boundary were partially connected to the events that occurred in the reactors8. However, after March 15, 2011, although only a few studies investigated the potential reasons why the atmospheric releases continued for such a long period afterward9,10, the precise rationale behind the event still has not been verified definitively. Therefore, this paper focuses on the reactor units that generated large 137Cs atmospheric releases during the period of March 12–21, 2011.